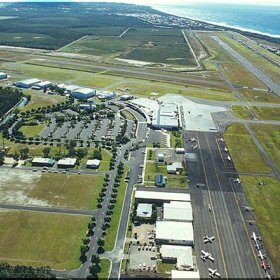 Rehbein Airport Consulting was commissioned by Maroochy Shire Council to prepare PANS-OPS surfaces for Maroochydore/Sunshine Coast Airport to form part of the prescribed airspace plan for the airport. The PANS-OPS surfaces are intended to safeguard an aircraft from collision with obstacles when the pilot is flying on instruments. In accordance with the definitions stated in the Airports (Protection of Airspace) Regulations (APAR) the PANS-OPS surfaces were ascertained in accordance with the current Australian interpretation of the procedures in ICAO document number 8168 OPS-611, Procedures for Air Navigation Services, Aircraft Operations. Prepare PANS-OPS drawings for use by Maroochydore/Sunshine Coast Airport.